Our most international monument is an anniversary. 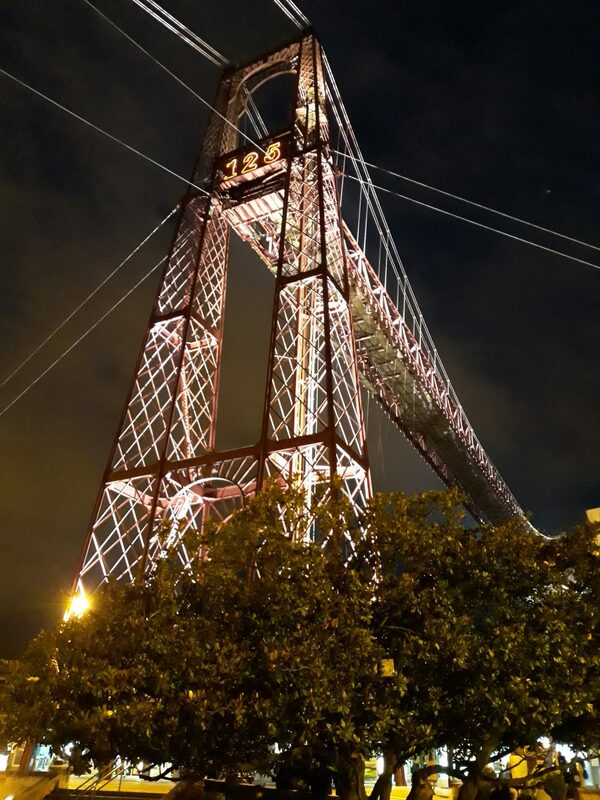 The Puente Colgante of Bizkaia turns 125 on the 28th of July. It was inaugurated in 1893 with the mission of uniting Las Arenas and Portugalete without interrupting river navigation with Bilbao at a time of great commercial boom. The works began three years before, under the direction of Alberto Palacio Elissague. Ferdinand Joseph Arnodin was the French engineer in charge of the project, while the Bilbao businessman Santos López de Letona was the main financier of the project. With its 160 meters long and 61 meters high, it is one of the great monuments of the Industrial Revolution, linked to the exploitation of iron from the Bizkaia mines. In addition to various tourist and architectural awards, in July 2006 it was declared a World Heritage Site by UNESCO, highlighting its aesthetics, technical creativity and functionality. On their website you can see more about the activities scheduled for the anniversary, take part in them!